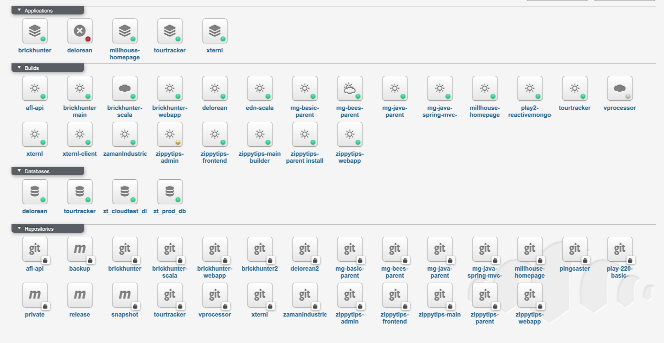 So, having selected Heroku as my new runtime platform, how to move my stuff on there? On the day of their announcement, Cloudbees provided an FAQ and a Migration Guide for their current customers. In addition, Heroku most considerately have a CloudBees-to-Heroku migration guide (updated on the day of the CloudBees announcement, nice). Setting up on Heroku proved delightfully simple, and with a git push heroku master from my machine, my first app was "migrated". Up and running, and actually (according to my simple metrics) responding more quickly than when it was hosted on CloudBees. Epic win, amirite? Well, not entirely. The git push deploy method is all very well, but I dislike the implied trust it puts in the "pusher". How does anybody know what is in that push? Does it pass the tests? Does it even compile? When CloudBees was my end-to-end platform, I had the whole CI/CD chain thing happening so only verified, test-passing code actually made it through the gate. But Heroku doesn't offer such a thing - they just run what you push to them. Well, if CloudBees wants to become the cloud Jenkins instance, and they continue to have a free offering, I will continue to use it. 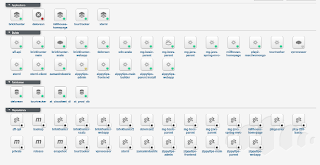 So let's get CloudBees building and testing my stuff, and then fire it over to Heroku to run it, all from a Jenkins instance on CloudBees. Oh dear. CloudBees are no longer offering a free Jenkins service. In very disappointing news, last month CloudBees announced that they would be discontinuing their Run@Cloud service, a facility I have been happily using for a number of years. ... the best bit being of course, that it was all free. So now I'm hunting for a new place for most, if not all, of this stuff to live, and run, for $0.00 or as close to it as conceivably possible. And before you mention it, I've done the build-it-yourself, host-it-yourself thing enough times to know that I do not ever want to do it again. It's most definitely not free for a start. After a rather disappointing and fruitless tour around the block, it seemed there was only one solution that encompassed what I consider to be a true "run in the cloud" offering, for JVM-based apps, at zero cost. Heroku.